A garden pond is a place to relax, unwind and enjoy nature. 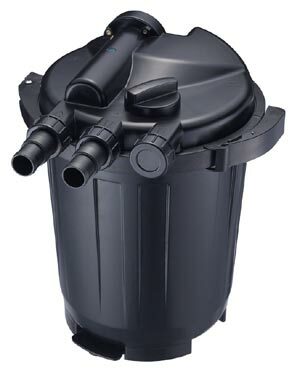 To keep your garden pond looking beautiful you require reliable and effective filter technology. Pond One has developed ClariTec, a pond filter that requires minimal maintenance effort whilst delivering astonishing filter results to give you more time to enjoy your pond. As with any filter the true test is the mechanical and biological effectiveness. ClariTec does not disappoint in this respect. With on average a larger canister volume than many other brands for similar flow rates, this additional space allows up to pack in more media surface area, the combination of up to 4 grades of high quality foram pads and our unique SUPER BIO CHAMBER which is home to the 'CeramiSub' substrate. The biological and nutrification qualities are in our opinion unrivalled on the market. Another advantage over many other pressurised filters is the UVC ballast being remote from the filter unit. With 10 meters of cable from the filter to the weather proof ballast, installation possibilities are therefore far wider, like in the garage for instance and reduce the likelihood of electrical breakdown often due to moisture ingress onto the ballast contact over a period of time. This also allows it to be exchanged in the unlikely event of failure unlike most other brands where the whole filter can become a disposable item in the event of ballast failing. The integrated back flow system can be activated by the control dial. This reverses the flow and washes out most sediment and debris which has built up over time. A hose pipe can be connected to the 'waste' outlet to take the dirt away from the filter to the drain or the garden. The big advantage of this type of cleaning is that the "kill" off of beneficial bacteria during the cleaning process is significantly reduced since you do not have to remove the filter media. This level of cleaning is all that is normally required. Occasionally more thorough cleaning will become necessary. Simply flick the safety catch on the sealing clamp and the chunky release mechanism can be opened. The filter head can then be removed and the media washed out.